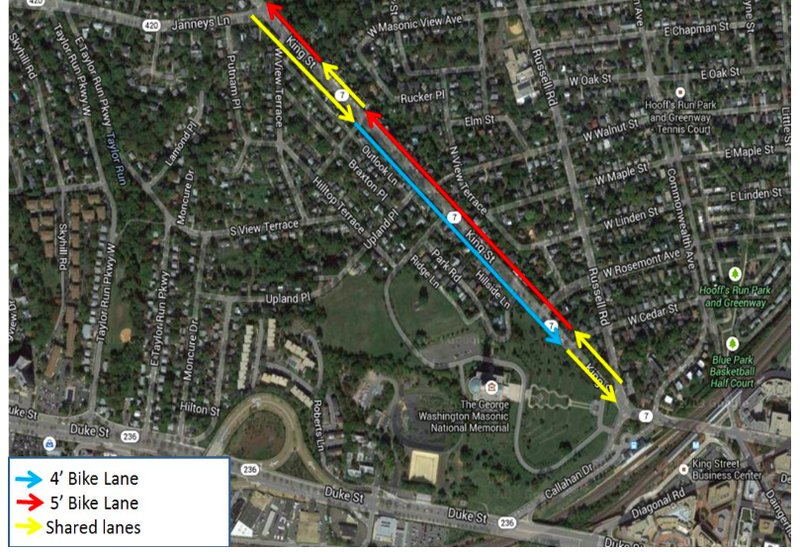 After many months of meetings and public discussion, the Alexandria City Council unanimously approved the plan to add bike lanes to King St from the King St Metro Station west about 2/3 mile to Janneys Lane. See the VBF report for details and links to press articles. Fairfax County faces a similar decision on Sherwood Hall Lane where the county is proposing to install bike lanes and local residents want to maintain on-street parking instead. You can contact Supervisor Hyland's office to voice your support for bike lanes on Sherwood Hall Lane.